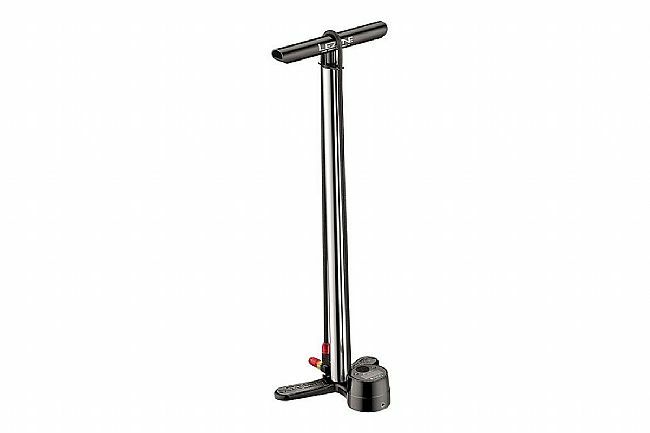 The Lezyne CNC Digital Drive Floor Pump features Lezyne's new and improved ABS1 Pro High-Pressure Chuck for quick and secure Presta valve attachment and ±3% accuracy easy-to-read digital gauge. The barrel, handle, and hose guide are made from custom CNC machined aluminum for superior durability and nearly effortless operation. Features include a 43 inch (130cm) rubber hose, an airtight Presta/Schrader compatible chuck, and a stable forged-aluminum base. 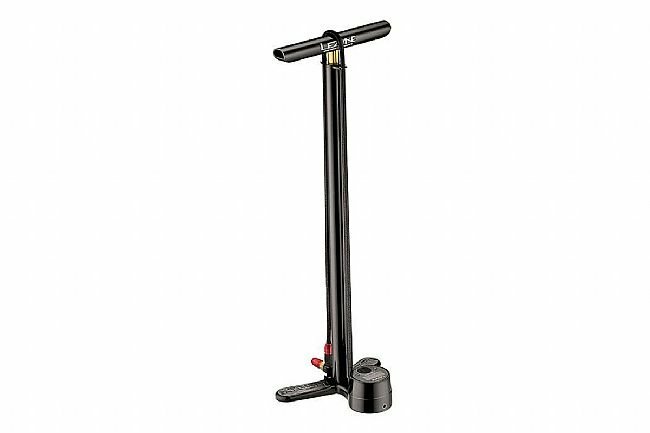 For easy removal, the ABS (Air Bleed System) allows users to release air pressure in the pump hose after inflation -- no elbow grease or valve damage required. Available in multiple colors. Compatible with Presta and Schrader valves. (Schrader attachment still uses a thread-on mechanism.) 1-year gauge battery life (user replaceable). Maximum pressure is 220 PSI / 15 bar.